The use of polished and unpolished porcelain tiles can create an effective look while cutting down the possibility of slippage. 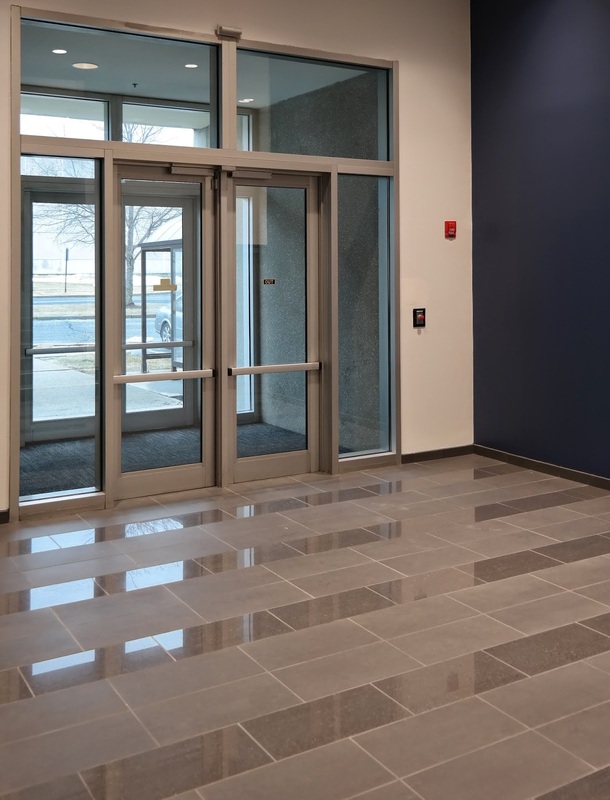 On average a polished tile looses 1 to 2 points for slip resistance, the measurement used for the walking safety of flooring, and should always be reviewed carefully before specifying in high traffic or areas likely to get wet, such as entryways. This is just one way to integrate the two tile finishes to create an effective design solution while keeping a mindful eye over the safety and end result!